Most of you probably know the Ugg boots, created by the UGG Australia brand. But are you aware of the long history behind these popular boots? There is a theory that says that these unisex, sheepskin boots were already worn by Australian shepherds in the 1800s, but in a different way: they took the sheepskin and wound it around their feet and ankles. Later, in the 1960’s, the ugg boots were worn by surfers to keep their feet warm after they got out of the sea. They were introduced in California for the first time in 1978, by the Australian surfer Brian Smith. He was the one who founded the UGG Australia company. In 1995, Smith sold the company to Deckers Outdoor Corporation, which already sold Teva sandals. They later expanded to New York City. The UGG boots became a huge success and, therefore, Deckers Outdoor Corporation opened several new stores in Japan, China, London and Paris. A lot of American actresses wore these shoes on set or just because they were so comfortable. One other reason for the large success of UGG is their collaborations with designer brands. They launched a collection with Jimmy Choo, an iconic luxury brand. And later they collaborated with Swarovski. They constantly adapt and renew themselves to the needs of their customers. For example, they created a collection for men and change the colours and the design of the boots according to the seasons. A lot of websites, such as eBay, sell fake Ugg boots. Deckers' brand-protection unit has already blocked lots of them. 60 000 pairs of those imitation boots were confiscated by customs agents. UGG Australia is the best-known brand of sheepskin boots but there are others, such as EMU. These brands are legitimate companies and their names also sound very Australian. They weaken the profits and success of UGG Australia. 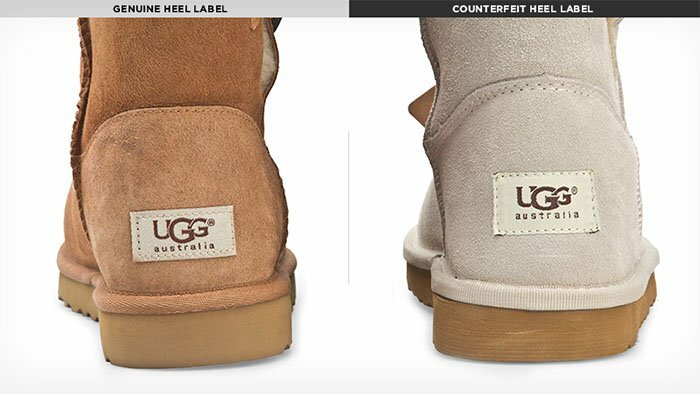 As they indicate it on their official website, UGG Australia only uses sheepskin from sheep that were raised to produce food. They prefer to collaborate with farmers whose aim is to sell their livestock’s meat, which represents 90% of these farmers’ business. The 10 remaining percents represent the sheepskin that can be sold to companies such as UGG. This is not the only criterion that is required by the brand when it comes to buying raw material. They only work with suppliers who stand for the same ethical values and sourcing. They want to protect the animals from any possible violence and abuse. Because of that they are not afraid to say that the company never used sheepskin from sheep that have suffered from mulesing. This is a procedure intended to remove folds of skin from the sheeps’ tails to reduce fly strike. In regards to the traceability, they find their sheepskin in tanneries after having checked its country of origin. In fact, they only accept products from countries which apply regulated standards concerning the treatment of animals: Australia, the USA, Ireland, the UK and Spain. UGG has recently banned using angora. They do not agree with the way the angora rabbits were treated. These animals are known for their long, soft fur. They hand-pluck the fur at the time the animals moult while they are still alive. This painful process takes place every four months for up to five years. 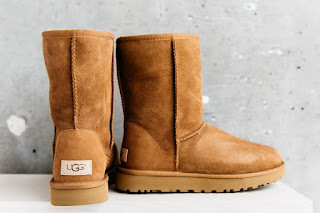 Ugg Boots are probably one of the most popular, well-known boots in not only Australia but also in America, the United Kingdom and the whole rest of Europe. The street scene without these fluffy boots seems unthinkable. This product, originally from Australia is therefore a perfect symbol of the Anglo-Saxon culture.